Back in August 2008, Srikanth Matrubai had written a blog on why investors should not worry about the market fall. The blog recommended that investors to top up their SIPs in equity funds. 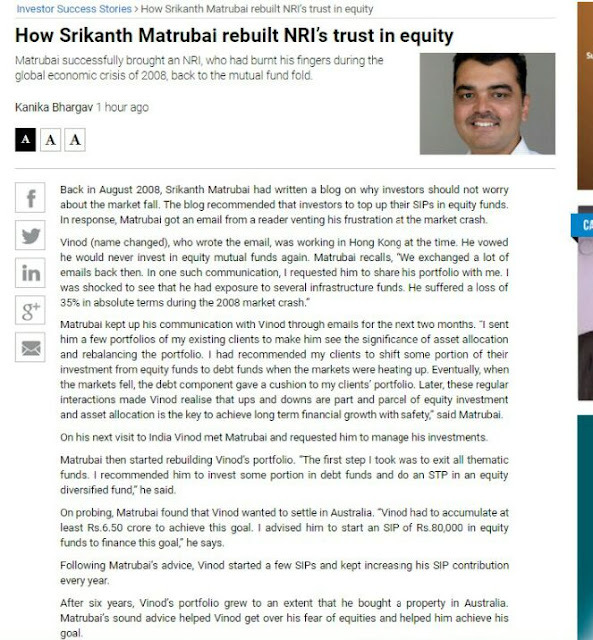 In response, Matrubai got an email from a reader venting his frustration at the market crash.